Lanka IOC (LIOC), IndianOil’s subsidiary in Sri Lanka, is the only private oil company that operates retail petrol/diesel stations in Sri Lanka. 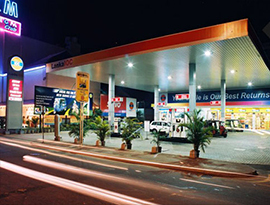 Lanka IOC was incorporated in 2003 to carry out retail marketing of petroleum products and bulk supply to industrial consumers with 100 CPC-owned petrol/diesel stations. The company commenced operations from small beginnings and now become the eight largest listed company in Sri Lanka. IndianOil’s entry into Sri Lanka is in line with its Vision of becoming a transnational energy major. While expanding its market base to convert the surplus avails of petroleum products into more wealth for stakeholders, IndianOil is also committed to being a good strategic partner to Sri Lanka. Its vast experience in downstream petroleum operations in India is helping create a healthy and competitive petroleum industry in Sri Lanka. At present, Lanka IOC operates 202 petrol & diesel stations in Sri Lanka and has a very efficient lube marketing network with 235 SERVO shops and 24 lubricant distributors. Major facilities include an oil terminal at Trincomalee - Sri Lanka's largest natural harbor, a lubricant blending plant of 18,000 tonnes per annum capacity and a state-of-the-art fuels & lubricants testing laboratory at Trincomalee. Lanka IOC also owns one-third share in Ceylon Petroleum Storage Terminals Limited (CPSTL) - a joint venture of Lanka IOC and Ceylon Petroleum Corporation (CPC) - which operates 13 oil terminals across the Island. 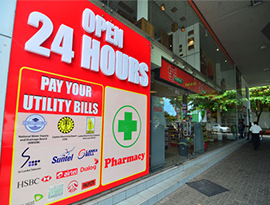 Lanka IOC’s activities not only provide the island nation energy security and supply stability but also helps upgrade the overall standards of service, particularly in the retail sector. It is listed on the Colombo Stock Exchange. 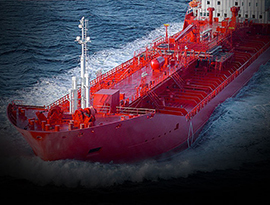 Lanka IOC holds a 35% market share in a highly competitive bunkering fuels market, catering to all types of bunker fuels and lubricants at all ports of Sri Lanka, viz., Colombo and Trincomalee. 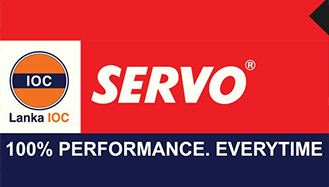 It is the major supplier of lubricants and greases and has gained a significant market share over the years. 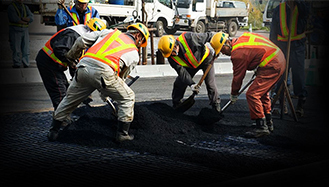 Lanka IOC is also a leading supplier of bitumen in Sri Lanka and supplies two variants of bitumen for road-building and other industrial usage. It has recently ventured into the high-growth Petrochemicals business. Lanka IOC also has the China Bay Tankfarm of World War II vintage, which is of historic and strategic significance as it is the largest tankfarm located between the Middle East and Singapore. The tank farm, formerly owned and operated by CPC, has 99 tanks, each with a capacity of 12,000 kilolitres. Currently, only 15 of these tanks are operational. Lanka IOC intends to develop the tankage on need basis. Lanka IOC is making phased investments to provide world-class quality petroleum products and service to the Sri Lankan customers. Through its retail chain, it is also making available non-fuel facilities such as convenience stores, 24-hour ATMs, automatic carwash, food marts, etc. In a first, nitrogen filling facility has been introduced for automotive tyres. Such initiatives will not only provide value-for-money to the motorists but offer an altogether new refueling experience. The refurbished stations of Lanka IOC have won praise from all sections of the Sri Lankan society.